Bud blast, to say it sounds like an expletive and really it is. 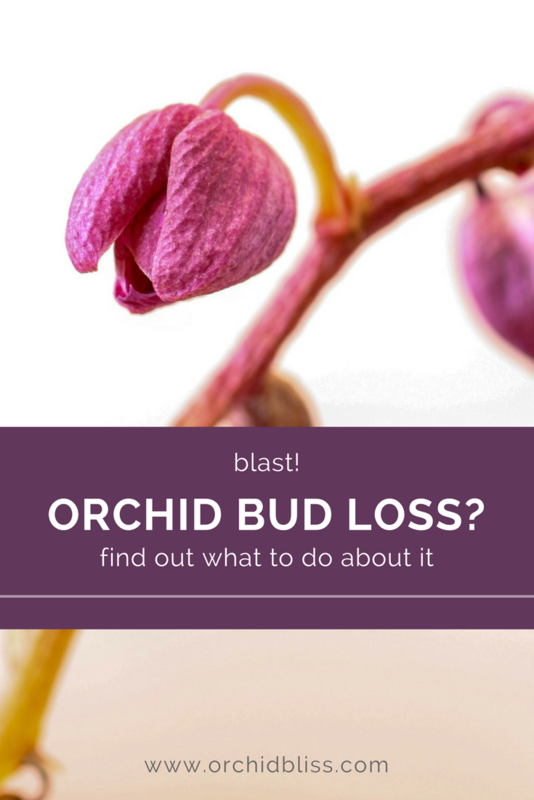 Bud blast describes when an orchid’s buds appear to be developing normally and suddenly those beautiful buds wither up, leaving you wondering why? Like many problems, the best course of action is prevention. Here’s the deal: the buds are the most fragile part of the plant and most susceptible to damage. I’ve purchased orchids and by the time I’ve come home my buds have been blasted. Granted it was a 3 hour drive home and the orchids did not appreciate it. Over and under watering can cause bud blast. 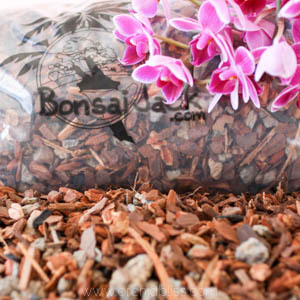 When bringing home an orchid, do what you can to protect it from exhaust fumes. Don’t let your orchid ride in the trunk. To avoid exhaust fumes turn your car’s air system to recirculate. Once at home a heating source that emits air pollution will cause bud blast. Lack of sufficient light can cause the buds to drop. Try moving your orchid closer to the window. 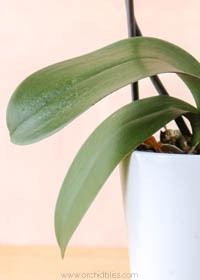 By the same token, avoid setting an orchid too near a lamp or other bulb that puts off a lot of heat. The right light will encourage flowering! 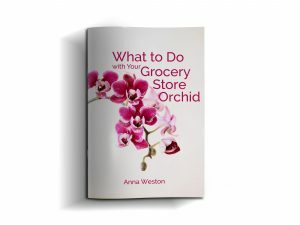 Check to see if your orchid is in a place where there may be extreme changes in temperature. Being too near heating and cooling systems is not a good idea. Check for drafts near your orchid. Proximity to exterior doors could pose a threat if you live in an area of extreme hot or cold temperatures. These tips will help your orchid bloom and avoid bacterial leaf spots. A change in environment may trigger bud blast. 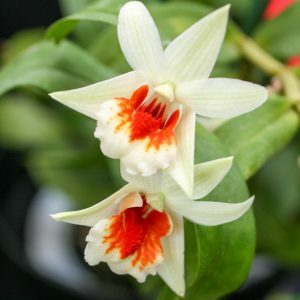 If your orchid was accustomed to a paradisaical greenhouse and must now acclimate to your windowsill, it may take some time, but it should adjust. When I brought home some Cattleyas I lost just about every bud. Now though, they are doing fine and in bud. 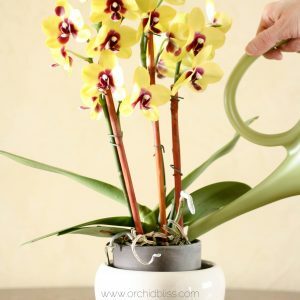 TIP: Even moving orchids from room to room may trigger bud blast. Before moving your orchid to enjoy the flowers, make sure that the bud have opened. Sometimes you’ll never know why an orchid suddenly looses its buds. Just do the best you can to can for your orchid. Learn what the best care practices are for your particular orchid, then do what you can to provide the best care possible. Phalaenopsis, or moth orchids, are prone to bud blast, though other orchid varieties certainly may loose their buds. If your Phalaneopsis has lost its buds, simply cut it back to a fresh node, or notch along the stem and a new flower spike may begin to grow. Once an orchid is in full flower and no buds remain, you can place this orchid in a less than ideal location. Whatever you do, keep trying. Orchids are resilient and can bounce back from environmental disruption. Next time, those buds will follow through with flowers! orchids are thriving! I have two very large white ones the others are all different shades of pink. I give them a table spoonful of water every Sunday and every three weeks I feed them ONE DROP OF FERTILIZER IN TWO SPOONFULS OF WATER. I envy your sun-room! Thanks for your tips! Your welcome! I’m glad you found what you were looking for! all the terrible things we’re guilty of and not much positive feedback. Your kind words mean a lot to me as I do try to be a positive voice! 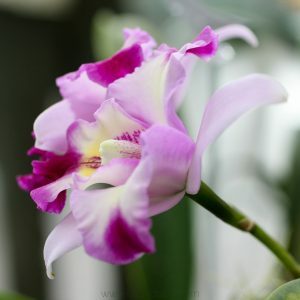 How can i get some seeds of the diffrent orchids . I haven’t ever grown orchid from seed, but I’d love to hear how it goes for you. 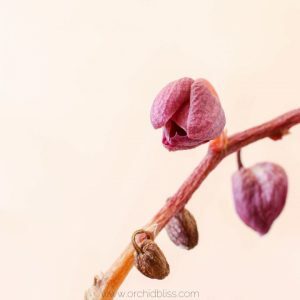 Here is an Etsy link for orchid seeds. If you purchase through this link, I will receive a commission. Hi Anna it’s Rose i have been so busy and losing sleep my Phals have been getting Black Rot in stem i have been trying so hard to fight this and I have used Masterfood Cinnamon Ground it’s used by date is out of date but i still used it i have lost 3 to death i have 5 still fighting to stay alive please let me know what I can use to save the rest I’m sad and worried that I may lose my orchids to Black Rot i don’t want anymore getting this deadly disease cause it moves very fast thankyou bye for now cheers.Gold coast Australia. Black rot is terrible. Using sterile scissors, cut away the affected area. 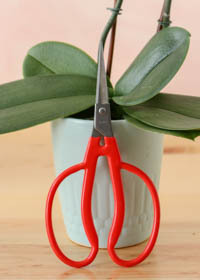 Sterilize scissors, or knife, between each cut. Cut a bit past the diseased portion and so that you are cutting into healthy tissue. After removing the diseased portion, use a fungicide. Cinnamon is a good natural fungicide, but you may want to use a commercial fungicide to prevent black rot from spreading throughout your collection. Provide plenty of space between plants, as black rot can easily spread between plants. If your plants are outdoors set them at least 3 feet off the ground. Place orchids where they will not be constantly wet. The key to prevention for both indoor and outdoor growers is air movement. If you are growing indoors, a fan is essential. I have a phal that looks like it has a bud with a second bud emerging from it, almost like an egg with a double yolk. Am wondering if this is bud blast or something else. Interesting. I’ve never seen this before. Bud blast is when a bud aborts due to changes in the plant’s environment. Could you send me a picture? My email address is [email protected]. Have several orchids, had multiple reblooms, ready for traditional February rebloom. Suddenly, no heat, Northeast, now all dropping buds. Should I cut off stems? That is disappointing! You could wait and see if all the buds drop before cutting the flower stalk. But yes, if you aren’t going to get any flowers anyway, cut the stalk.